A dodgy Wi-Fi connection can have a significant impact on most areas of modern life, from binge-watching the latest Netflix series to trying to catch up on work from the office. You don't necessarily have to settle for a patchy signal though - here are five ways to try and troubleshoot the issue. It sounds obvious but the position of your router can have more of an effect on the strength and stability of your Wi-Fi than you might think. Of course you're limited to some extent by the layout of your home and where the internet comes in in the first place, but having your router in the centre of your house is the ideal you want to be aiming for. Extending the cable from your master phone socket can give you more room to play around with - you could fix up a shelf to get your router higher or hide it under a desk to get it lower, for example. Your Internet Service Provider might not have a stellar reputation for customer support but if you ring up for help they should be able to advise you further and tell you the best approach for the router they've given you. The Wi-Fi signal coming from your router has some work to do while it travels from your router to your laptop, and everything from baby monitors to walls can get in the way. Wherever possible try and keep wireless phones, microwaves, baby monitors, wireless speakers, console controllers, mirrors and even fish tanks can significantly affect your Wi-Fi, so make sure they're not between your router and you if you want a strong signal. Changing the channel used by your router is one way of trying to minimise interference from other devices, and it can help you avoid problems with your neighbour's Wi-Fi too (check your router's instruction manual for details - you may just have to reset it so it can find a new channel). Moving walls isn't particularly practical but you might want to reposition your laptop desk or your games console station. A repeater does exactly what its name suggests: it takes the Wi-Fi signal coming from your router and repeats it over a wider distance. These bits of kit aren't very expensive but they have a reputation for not being particularly effective - repeating the Wi-Fi signal from your router weakens it at the same time, so you might struggle to stream HD films if you find yourself at the far end of the repeater's range. On the plus side they're very easy to set up and can usually clone the network settings from your router, so your phone or laptop doesn't have to jump from network to network as you move around the house. There are plenty of models to choose from but as always read through the reviews and check compatibility before making a purchase. The electric wiring inside your home can also carry an internet signal if called upon, and unlike wireless repeaters, Powerline kit can maintain high signal speeds as it goes from room to room - if you want to pipe internet into a games room or a study then it's the perfect solution. Most homes can support a Powerline network but you might have problems in older houses (make sure you buy hardware with a decent returns policy). It's really easy to set up too - you don't need to be an electrician or a computer expert to create a Powerline network. 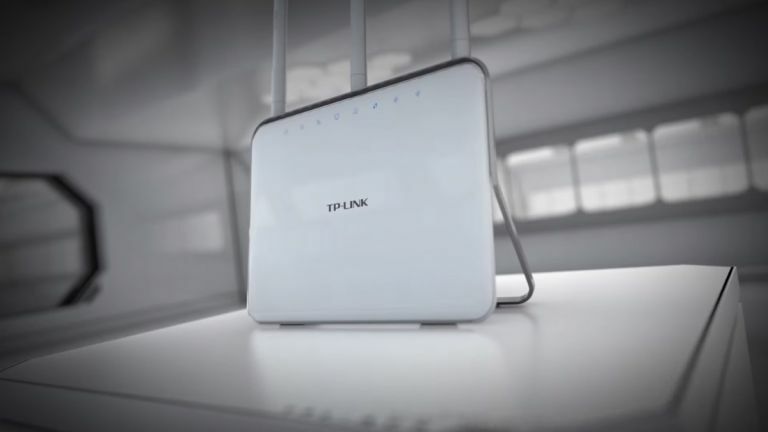 Take a look at the kit that's available from your online retailer of choice and you'll see there are a choice of speeds and features available: some plugs can create a Wi-Fi hotspot as well as a wired connection, and some will create an extra power socket so you don't have to give one up to get internet connectivity. Wi-Fi is easy and convenient but plugging an Ethernet cable into your laptop or games console will give you a stronger, more reliable signal that won't get knocked out every time you heat up a bowl of soup in the microwave. Feeding a cable between rooms is going to take time and effort (and a few DIY skills) but once it's done you can reap the benefits with a steady and speedy connection direct from your router (on most models you get four wired ports to play around with). It's not an option for smartphones and tablets of course but if you can take a computer or two off the Wi-Fi network then your other devices will have more elbow room. Once you've got Ethernet in another room, you can use an old router or a Wireless Access Point to turn it into a Wi-Fi hotspot if you need to. Now why not check out 10 best Google Chrome features you're not already using?